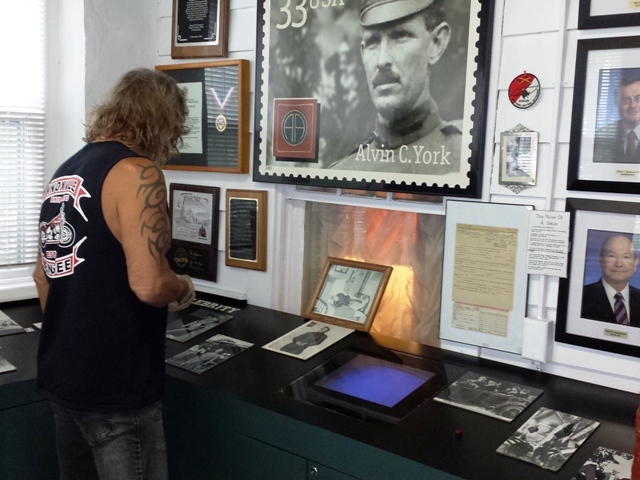 On Tuesday, July 30, 2013 we ventured to the Sergeant Alvin York State Park in Pall Mall, Tennessee, north of Jamestown. Jeff says good bye to the girls as we leave home. We left our home in North Knoxville around 10am, with cloudy skies and a cool 68 degrees. 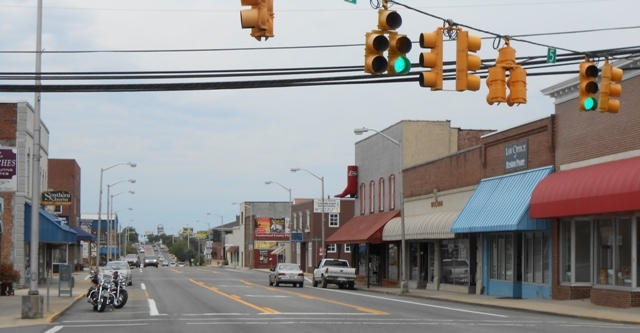 We rode north on Clinton Highway through Powell and into Clinton, then took 61 (Seviers Boulevard) toward Oak Ridge. We stopped to get a snack and put on our light weight jackets, which we ended up wearing the remainder of the day. Certainly unusual for us in summer. We wore our jackets the entire day. We continued on 61 into Oliver Springs and took 62 through Coalfield and then Wartburg. From Wartburg we traveled 27 north which took through Sunbright and into Elgin. From Elgin, we took 52 west into Rugby and stopped for photos. After Rugby, we continued on 52 through the southern part of Big South Fork and stopped briefly to take a photo from a bridge. 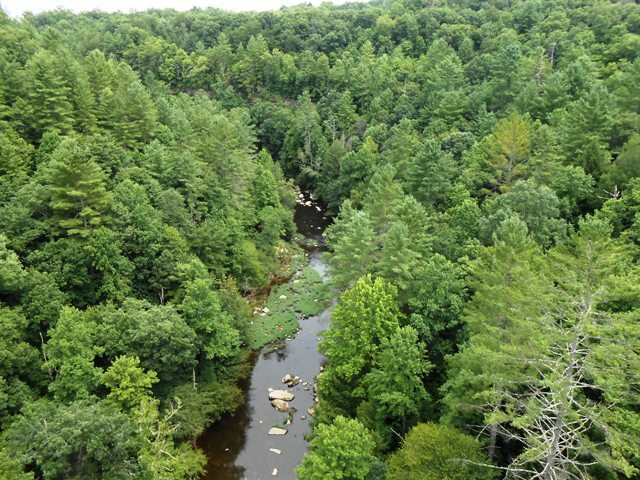 View from bridge on 52 in the Big South Fork. We then continued on into Allardt. From Allardt, we stayed on 52 into Jamestown, where we took 127 north up to Pall Mall. The Sgt. 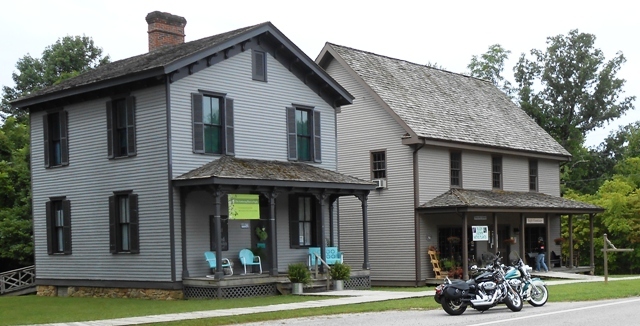 York visitor center. The tour starts here. 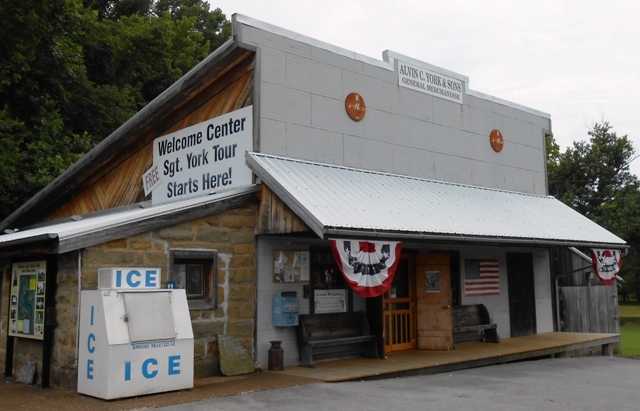 We stopped first at the visitor center where we were invited to watch a ten minute video about Sgt. York narrated by Walter Cronkite. I enjoyed it and Jeff got through it. Jeff tolerates sitting through the video… just barely. 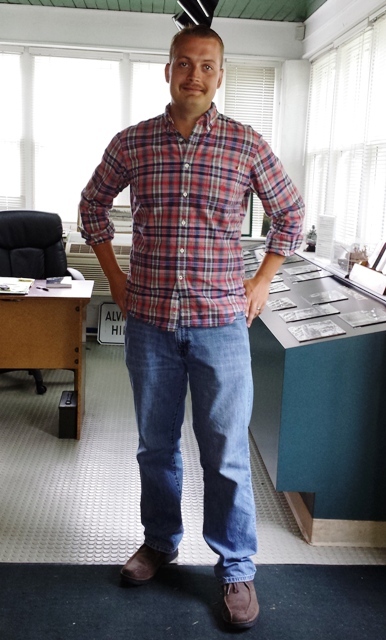 The center’s greeter filled us in on sites to visit and after viewing the map, we set off on our York adventure. Map of sites at the visitor center. 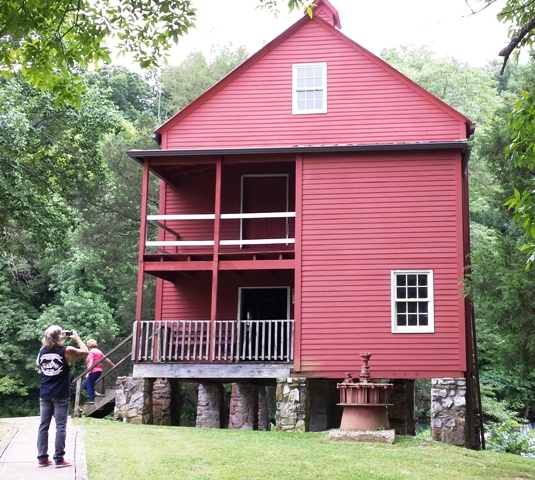 Less than a mile from the visitor center is the entrance to the State Park which includes the Old Grist Mill and the water falls where Sgt. York hung out in his youth. 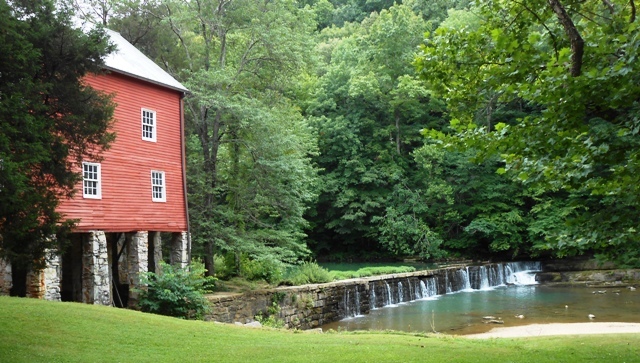 The Grist Mill in Pall Mall, TN. 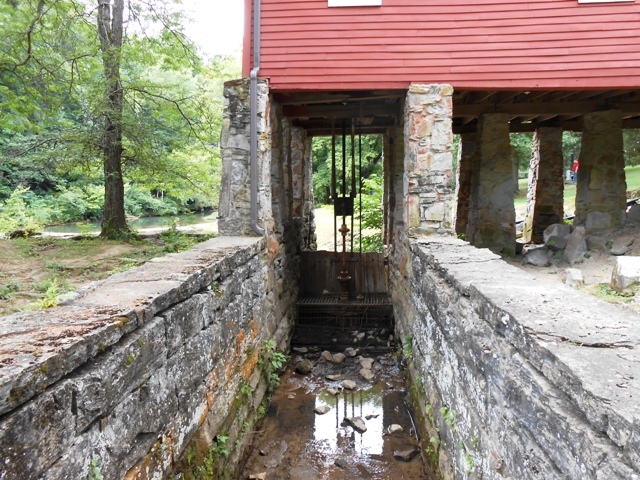 Close up of the Grist Mill mechanism. 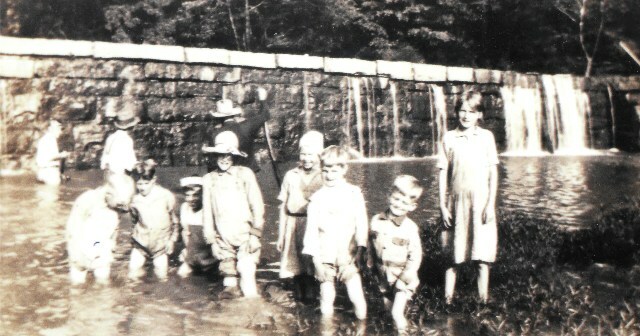 The waterfalls next to the Grist Mill as they appear today. Not much has changed. During our visit today, the park was full of people there to celebrate the retirement of Sgt. York’s 83 year old son, Andrew York. Andrew served 41 years as a ranger at this historic park. By 1:30pm, we were ready for lunch. 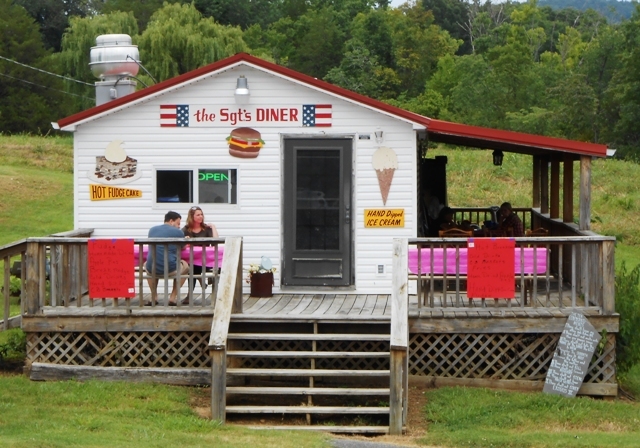 We spied a little restaurant right across the street from the park called The Sgt’s Diner. 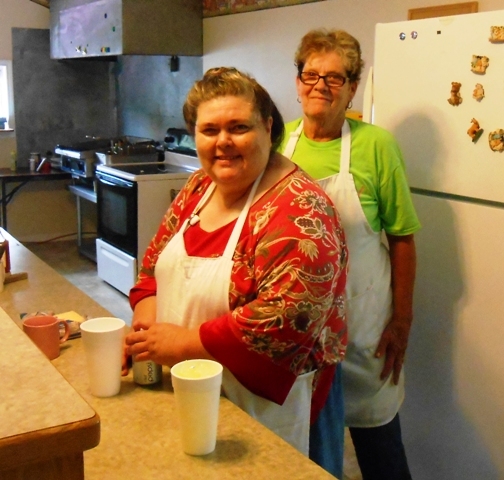 The women running The Sgt’s Diner were great! We ordered the entire menu- cheeseburgers, fries, slaw and baked beans. It took around twenty minutes to get our food, but the burgers were worth the wait! Lunch… the best burger ever! 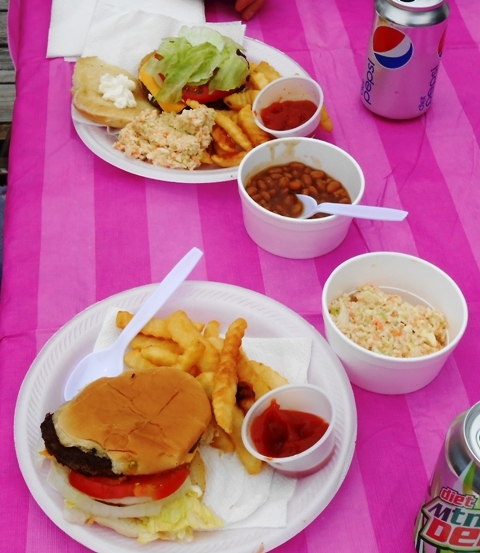 Our meal brought back wonderful memories of family cookouts- grilled hamburgers with all the fixings. This was home cooking at its best! If you’re planning on heading out to The Sgt’s Diner for your home cooked burger, you might be disappointed. Turns out they were only open for the 127 Yard Sale that was scheduled to go through the weekend. 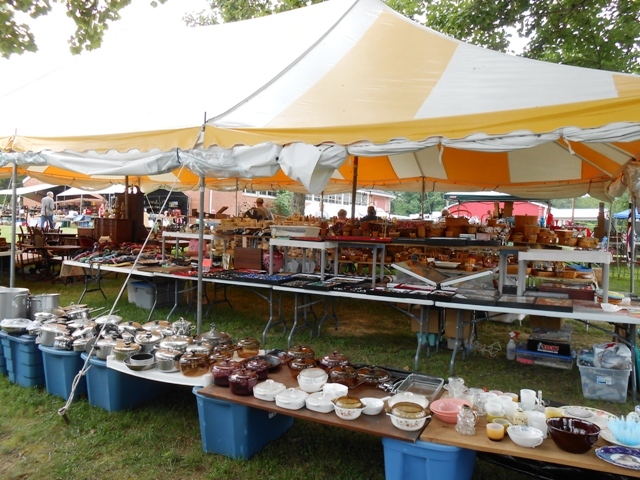 The 127 Yard Sale is known as the World’s Largest Yard Sale. It runs from the first Thursday in August through the first Sunday but vendors arrive early. Several tents were set up around the park area and we went exploring. 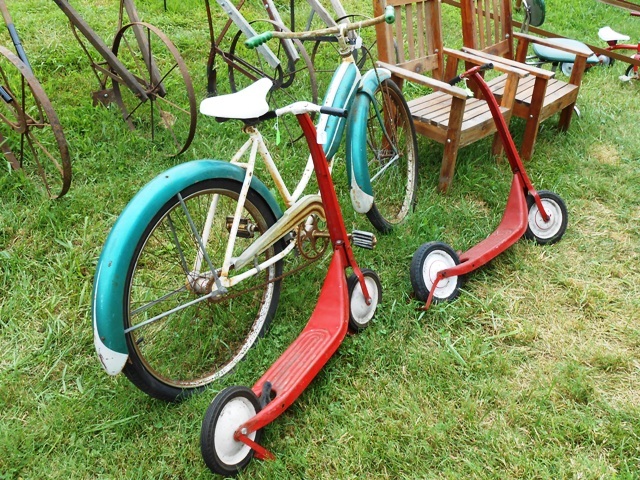 Vendors arrive early for the World’s Longest Yard Sale. Jeff sees a chair he likes. Unfortunately, we didn’t buy anything today since we were on our bikes. Moving on with our tour, we rode the short distance back to Sgt. 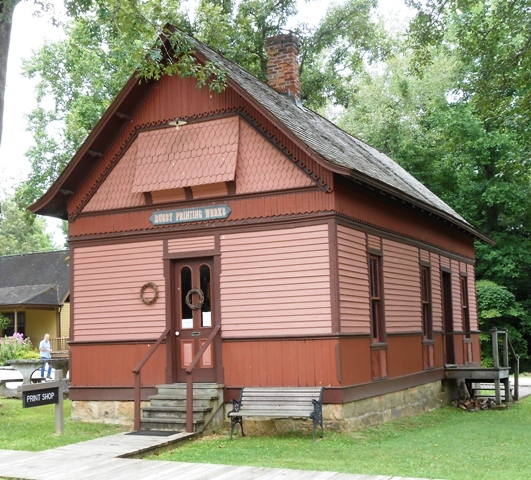 York’s homestead. The entrance to the York homestead. 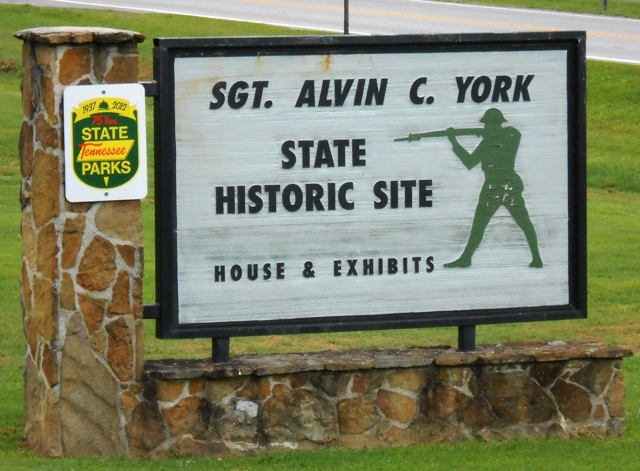 To honor York’s service, Nashville’s Rotary Club collected pledges and gave him an unfinished home with 400 acres of land. Turns out, most of the pledges were never collected, thus saddling the York’s with a huge mortgage debt. 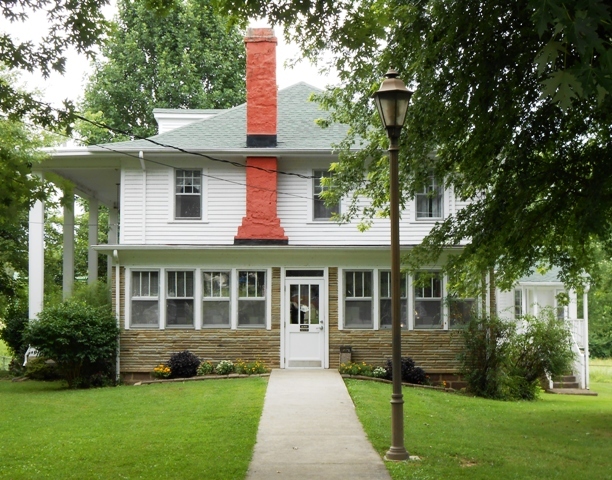 Side view of York’s home. 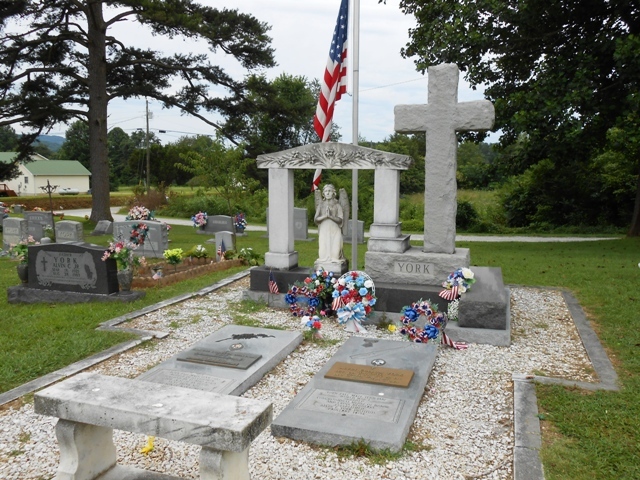 He lived here until his death in 1964. The home tour is open to the public. It was a honor to visit the York’s home. The friendly Park Ranger inside the home who answered questions about the tour. 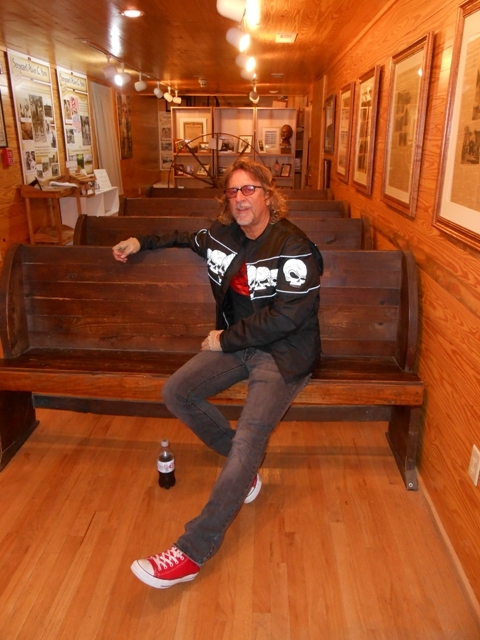 Jeff views the artifacts lining the sun room entrance. 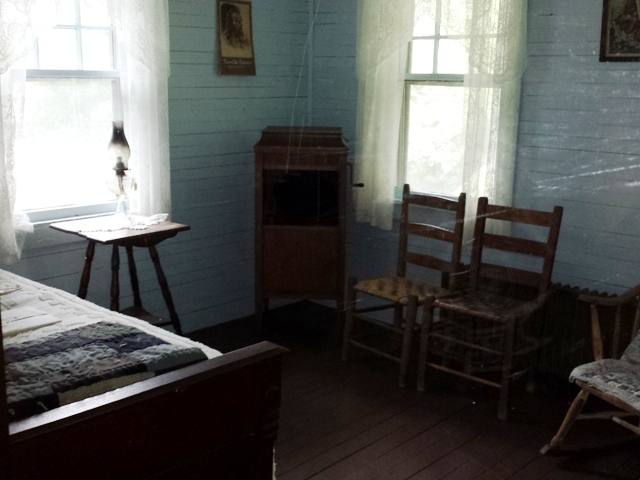 One of the York family bedrooms. 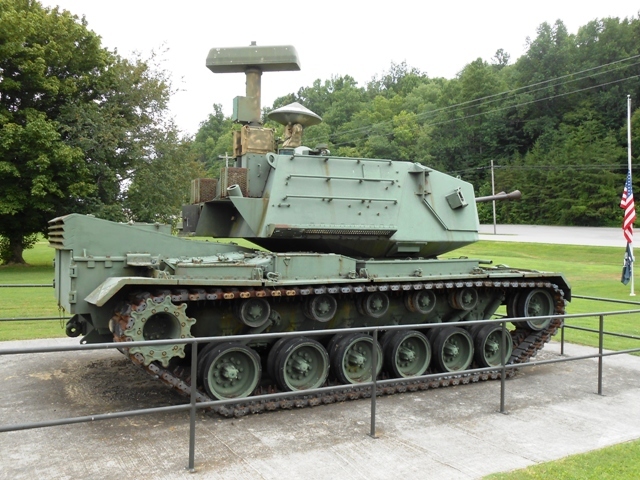 After looking through the house, we visited the anti-aircraft gun exhibit. 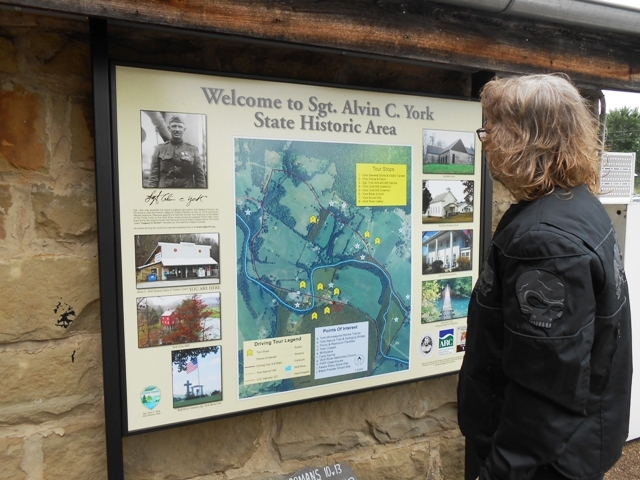 Then we rode a few miles down to visit York’s burial site. 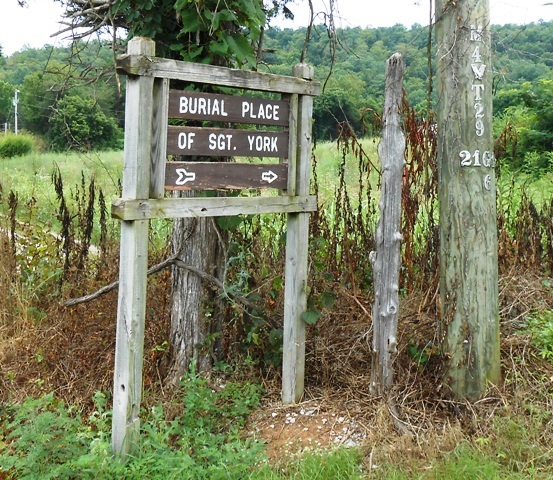 Sign pointing to the York burial site. We ended up staying in Pall Mall several hours and thoroughly enjoyed the experience. After leaving Pall Mall, we rode back down to Jamestown and fueled up. 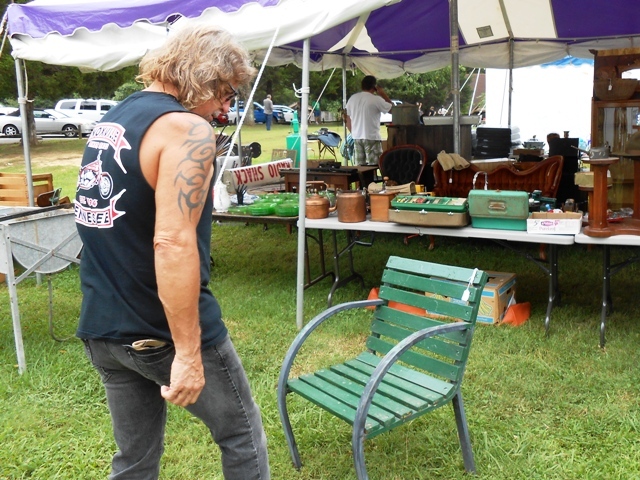 We then continued south on 127 and gawked at all the vendors setting up for the 127 Yard Sale. It was difficult keeping our eyes on the road with all the side action which lasted from Jamestown, through Clark Range and into Crossville. 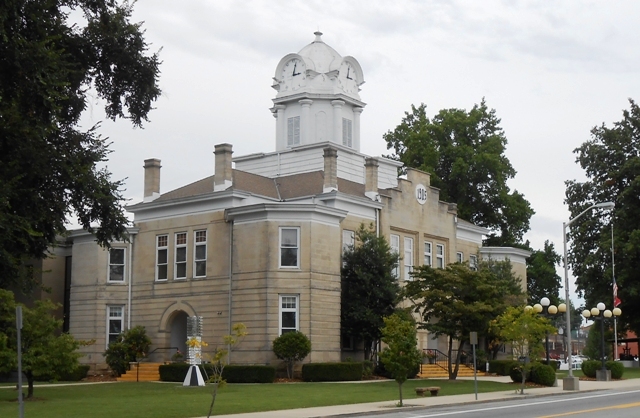 When we reached Crossville we stopped for a much needed break. 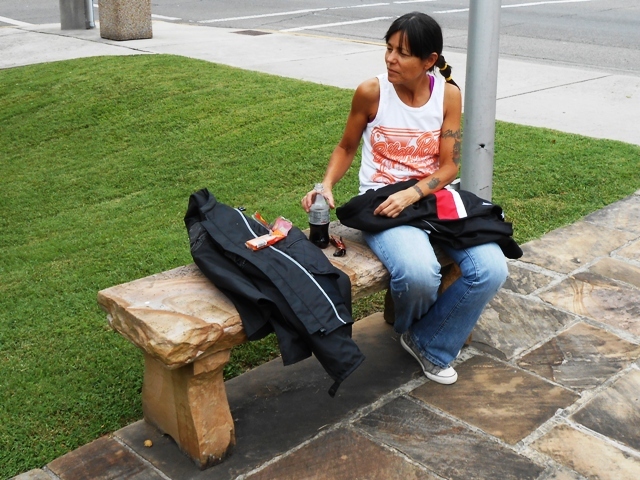 Pam resting in downtown Crossville. After our break, we left Crossville taking 298 north. This beautiful stretch of road goes through the Obed and Catoosa Wildlife areas. We stayed on 298 through Lancing until it met 27 just north of Wartburg. 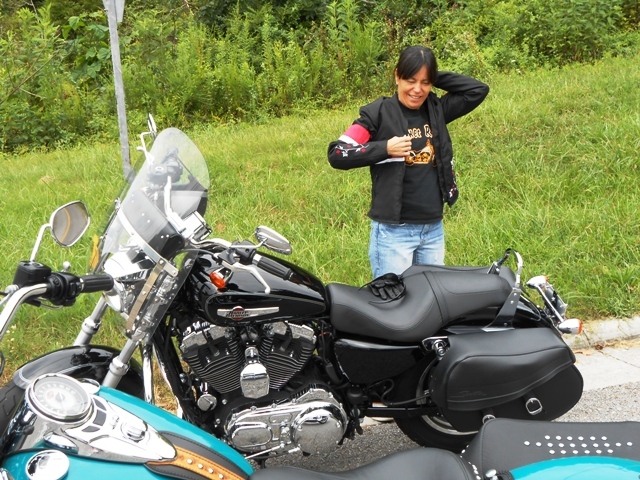 We rode south through Wartburg, took 61 back to Oak Ridge, then into Clinton and back into Knoxville. We arrived home at 7:00pm and our total ride was 247 miles. This was a long route and a long day, but WOW, what a great one! 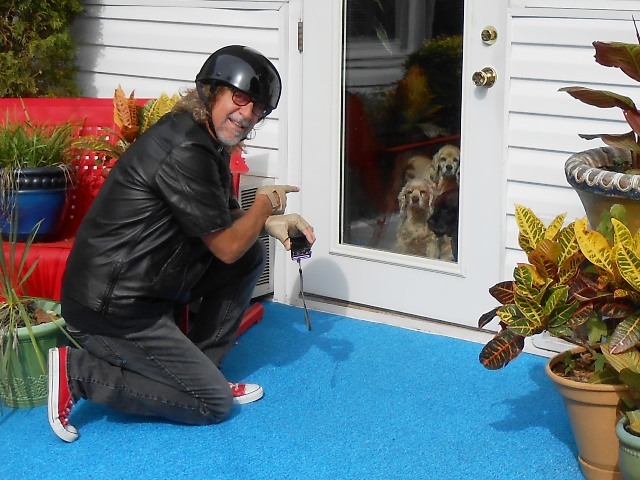 This entry was posted in Day Ride and tagged 127 Yard Sale, Biker Rags, Day Ride, Pall Mall, Sgt. York. Bookmark the permalink.